Ready to go. 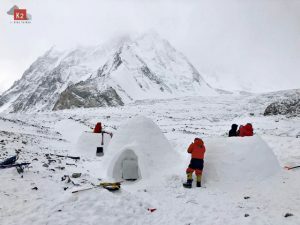 “We are already at the Base Camp,” Alex Txikon writes on Twitter from the Nepalese south side of Mount Everest. 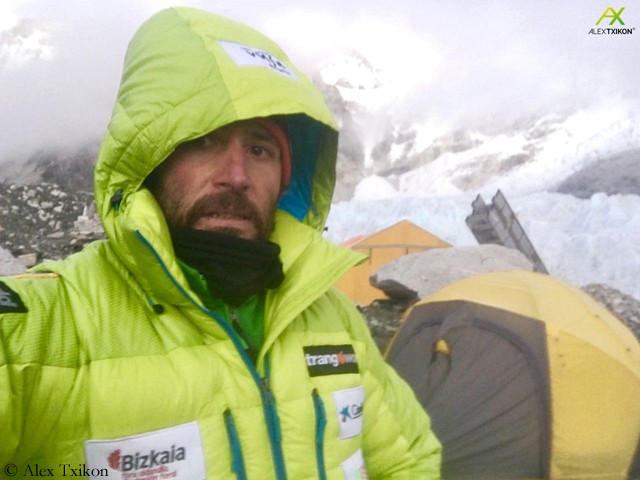 The Basque climber and his companions have pitched their tents in the 5360-meter-high Base Camp at the foot of the Khumbu Icefall. 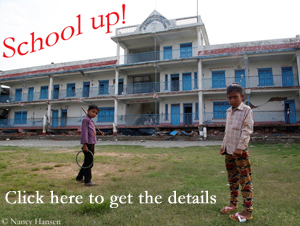 For one week, the team had trekked from Lukla via the Khumbu region to BC. Txikon reported on dry but cold winter weather. This should only be a small foretaste on what awaits him and his Spanish comrade Carlos Rubio in the next weeks on Everest. As reported, the two climbers want to scale the highest mountain on earth in winter, without bottled oxygen. 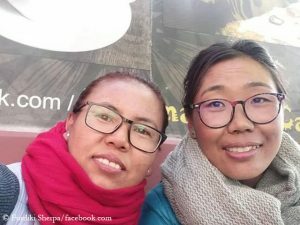 Ang Rita Sherpa was the only climber so far to have achieved this success on 22 December 1987, under exceptionally good weather conditions. For the past 24 years, no one has reached the 8850-meter-high summit in winter. The first winter ascent of Everest – it was the first of an eight-thousander at all – had been made by the two Poles Krzysztof Wielicki and Leszek Cichy in 1980, with supplementary oxygen. Txikon is a proven winter expert. 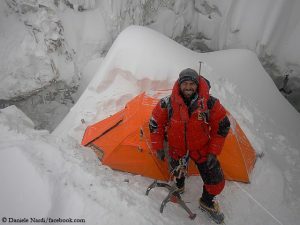 At the end of February 2016 he succeeded, along with the Italian Simone Moro and the Pakistani Muhammad Ali Sadpara, the first winter ascent of Nanga Parbat, a milestone of the high-altitude climbing.